Wes Malott uses this tape so why don't you!? Prevent your fingers getting torn up during a tournament! Also gives you a clean and consistent release! This is the best for anyone who has skin breaks or splits. I use to wrap my entire thumb. The best way to do this is measure two sections, fold in half, cut off angled corners on each side, peel off half, place on top of thumb, smooth out then peel rest and put over bottom of thumb and smooth out. It is now like a sock over thumb. It stays on while bowling. It is great. To remove place under water and peel off. Back in 2017 I had problems with 3 of my fingers being cracked and bleeding, and I asked my coach/driller Johnny Petraglia, Jr. what could I do to solve this. He suggested this tape and gave me some to try. In less than 3 weeks my fingers looked as if nothing ever happened! Since then I will not bowl without having this tape on! And make note that I bowl a MINIMUM of 5 days/week. How long is the roll of tape and how wide? Hi, the length is 16ft 4in, and width is 2in. Normally after placing an order you would receive an email confirmation of your order and then a tracking number would be emailed to you on the day the product ships out. If we did not have an email address for you when the order was placed, you may have to contact a customer service representative at Bowling.com to get your tracking information for your orders. Also, if you ever place an order and do not get tracking within 24 hours of placing the order, go ahead and contact Bowling.com to follow up because it usually does not take more than 24 hours for our orders to ship out. It will give you a clean and consistent release! 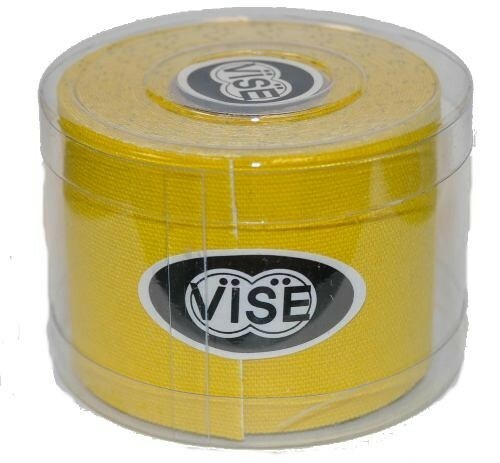 Due to the time it takes to produce the VISE NT-50 Series Protection Tape ball it will ship in immediately. We cannot ship this ball outside the United States.